Get acquainted with the city of Rhodes on this private, 3.5-hour shore excursion. Meet your guide off your cruise ship when it docks in the Port of Rhodes, then head out to explore. 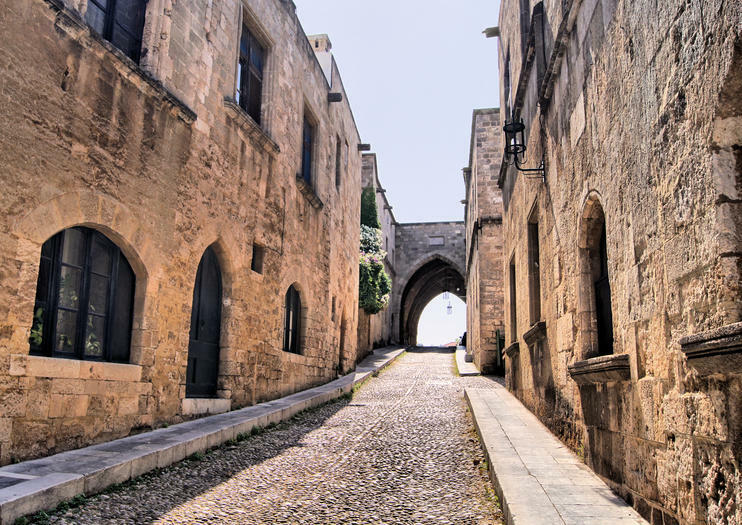 Travel through Rhodes New Town, where you’ll see the Mandraki Esplanade’s modern landmarks, before heading into the UNESCO-listed Rhodes Old Town. Enjoy a guided visit of the magnificent Palace of the Grand Master and make the most of free time to explore independently. Entrance fees not included.